What are the legal documents and payments that you have to go through before sealing the deal for that property purchase? We’ll guide you step by step so you can be fully prepared and aware of what’s coming when you’re planning to purchase a property. It is important for you to evaluate the time frame involving the creating and signing process of Sales and Purchase Agreement a.k.a. SPA. This is to prevent you from being charged a late payment interest. For a freehold property, the standard time frame to complete an SPA is 3 months given depending on whether there are no encumbrances on the property. This is also the case for a property where the individual title has been issued. The period for a leasehold property, on the other hand, varies depending on several factors such as the preceding condition that has yet to be fulfilled and so forth. A worst-case scenario is where you have to obtain consent from the involved State Authority. This may hinder the SPA period into 6 to 9 months. Once the drafting of the SPA is completed, the next step would be the signing of the SPA, which is usually done in the presence of an attorney as they are required to explain some of the core terms to you. Title: Probably one the most important details that you should focus on. The title will let you know if the seller is the actual owner and if the house is currently charged (meaning the house is put up as security for a loan). It is important to also mentioned in the agreement that the owner will hand over the title to you once the agreement is complete. Basically, this will be the transfer of ownership and is done through a document called Memorandum of Transfer (MOT). Free from encumbrance: This is to protect you from any other claims. For example, if the house is charged by the previous owner, that owner will have to ensure that the charged is cleared before handing the property over to you. Defect liability period: This clause is usually for properties that you bought off of a developer in which they would be responsible for any defects in the house for a certain period of time. However, for a sub-sale house, you’ll just have to accept it as it is. Late payment charges/ Liquidated damages: Late payment charges is when you fail to pay the developer/seller within the scheduled time, you’ll be liable for an interest charged to you. Liquidated damages are the payment made by the developer/seller to you should they fail to deliver the vacant possession to you within the stipulated time. Area of the house: It may sound menial, but should the developer deliver a reduction from the final measurement stated in the agreement, you might be entitled to an adjustment sum. House plan: Describing the layout of the house and design, located in the First Schedule. Payment schedule: This is usually the case if you purchase the property from a developer. The payment schedule will state how much you have to pay and by when. However if you’re getting a 90% loan, the bank and a lawyer will be responsible to arrange for the payment but is it good to keep your eyes on that as well. Another document that usually comes with the SPA is the Deed of Mutual Covenants (DMC), which basically lays out the rules and guidelines that the previous and new homeowner of the property agreed upon among each other. For example, what kind of renovation you can do and how many pets you can have. The DMC only applies when you are purchasing a strata property (a building or collection of buildings that has been divided into ‘lots’). The loan agreement comes with a few documents attached to it. Let’s dive into each of them, shall we? The Facilities Agreement (FA) is the main loan agreement and the facilities refer to the money that the bank will loan to you. It is pretty much the same for every borrower but what differs is the terms of your loan which is usually drafted in the Letter Of Offer that is attached to the FA. To find out what are the terms that you should be wary in the letter of offer, click here (link mortgage loan). Another document refers to the assignment of your rights and interest in the property over to your financier (the bank) for the duration of the loan. This document is called the Deed of Assignment (DOA) and is the security aspect of the loan agreement. It states that the house is the security in return of the money. All of the owners of the house (in case of more than one purchaser) must sign the DOA with the consent that the house is being used as security. Since you’ve signed the DOA giving the bank the rights to your property, the Power of Attorney (PA) will allow the bank to deal with your property on your behalf, hence all of the purchasers are required to sign the Power of Attorney. Memorandum of Charge (MOC) is kind of like a vice versa of DOA and PA, to provide security but you charge the bank your property in return for a monetary amount. The MOC will only be signed once the title of the property has been issued, in lieu of the DOA and PA. The amount of down payment is usually 10% of the property value since in most cases the bank usually loans up to 90%, making it the difference between the purchase price and the loan amount. Stamp Duty is a tax levied on a variety of documents including legal, commercial and financial documents. All transactions including sales, transfer, mortgage, and loan are subjected to legal stamps through stamp duty. The purpose of the stamp duty is to ensure that in the case that you have to go to the court, your documents are to be used as evidence. Fixed Duties: Fixed charges are RM10 per unit, including stamps, policies, and stamps for every copy. This means that for every legal property documentation, you will be required to pay for stamp duty. Now that we’ve covered the legal documentations required, we’ll break down the payment for these documents. Stamp duty for MOT = 1% for the first RM100,000; 2% on the next RM400,000, and 3% on the subsequent amount. If you are getting a loan from the bank, the bank will usually send a valuer to conduct a valuation report of the property. *Please note that all the numbers and values mentioned in this article may subject to changes. Overall, in the process of purchasing a house, it is important to take notes on what are the functions of all these different legal documents. You’ll also have to ensure that you are financially ready to make all the payments involved during the whole property acquisition process. We hope that this article helped clear any confusion you had regarding property acquisition documentation. 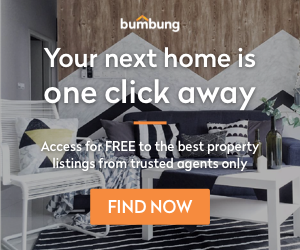 If you believe you’re ready to be the owner of a new house, do check out Malaysia’s latest and most convenient property marketplace, bumbung.co! For more property guides and giggles, stay tuned to The Roof Talks!